What a pretty flower graphic! 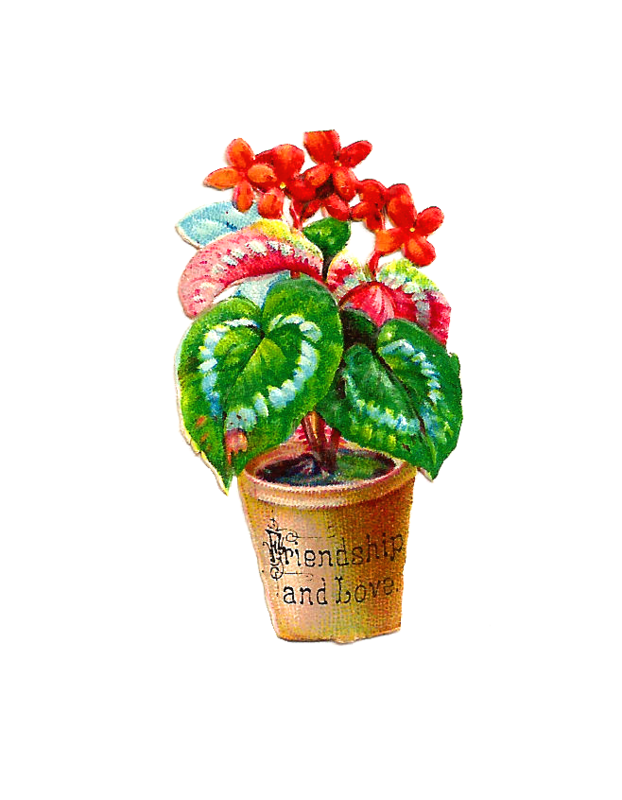 This is a lovely Victorian scrap of a red flower plant in a pot that has the sentiment, Friendship and Love, printed on it. This flower image would be so great on the front of a handmade greeting card made for a dear friend. 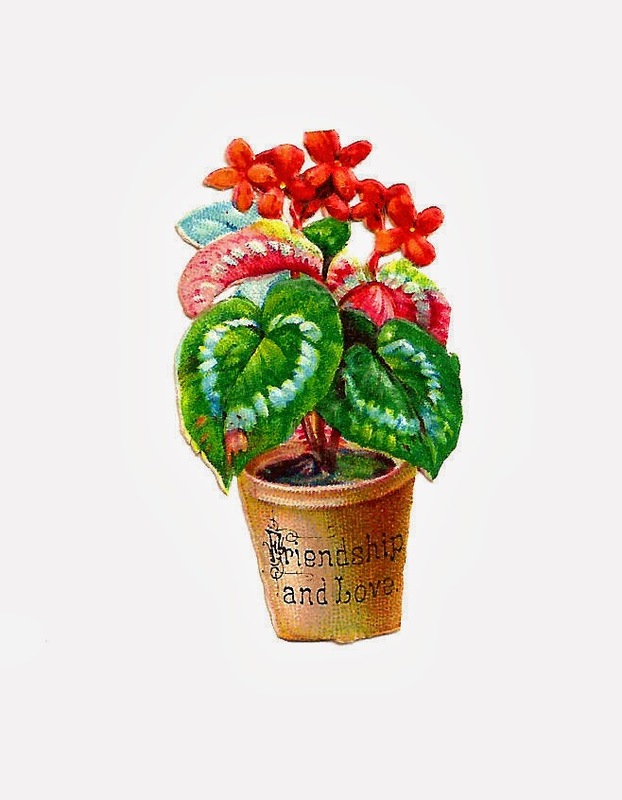 I've given you both the .jpg and .png files of this potted flower graphic. I've posted another potted flower image here. Enjoy! Very Pretty! Thank you sweetie.